Spams and unwanted emails are very common these days. There are some ways to prevent these, but a much better approach will be permanently blocking the spammers from sending those emails to you. Luckily, MS Outlook, a very popular email client provides a native option for that. You can blacklist senders from whom you don’t want to receive emails in your focussed inbox. You just have to configure some rules in Outlook to do this. I will mention details later in this post. You just configure the list of senders you want to block by adding their email addresses to the list and the rest will be handled by itself. Just sit back and relax as all the blocked senders will never be able to send you unwanted promotional emails in your inbox ever. It is very easy to block some people from sending you emails in Microsoft Outlook. Also, if you want to opt to automatically delete highly suspicious emails, then you can configure that too. In addition to this, you can create a list of whitelist senders so that their emails will never land in the Spam folder. To block senders you don’t want to receive emails, there are multiple ways to do that. You can either block senders by adding their email addresses one by one or you just block a specific domain to block all incoming emails from any address which includes it. 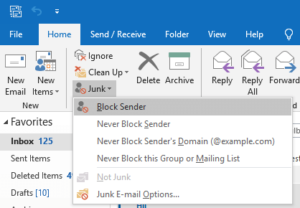 To block senders, simply click on Junk > Junk E-Mail options. After that, from the pop-up that appears, you can configure the list of blocked senders using the “Blocked Senders” section. 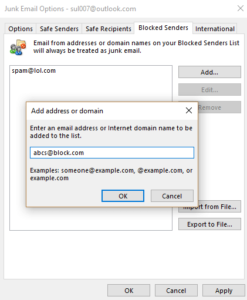 Or, you can directly block a sender by opening an email from the Junk folder. You can also do the opposite. That means if any email from a trusted user arrives in the Junk folder, then you can opt to never get the email from that person in the Junk folder. This is all about the built-in option to block senders using the native options. This is a good feature that you can use easily without relying on a third party add-on or an application. However, there are some external plugins for Outlook as well which you can use to take actions against Spam messages. Also, using the plugins, you can automatically delete emails which contain malicious links and attachments. 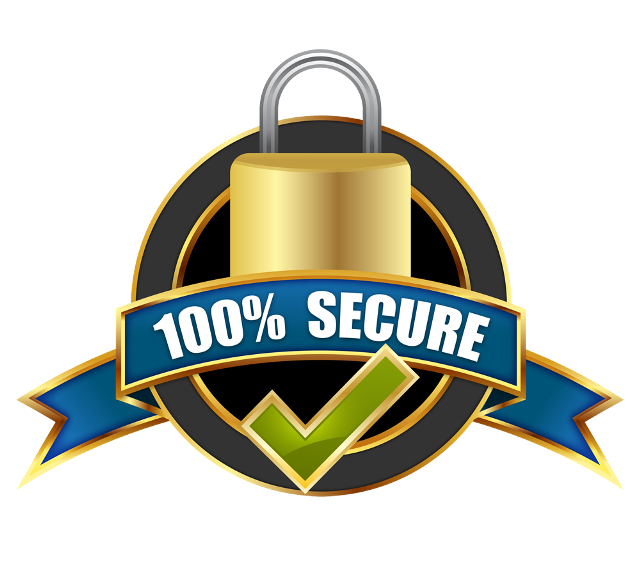 You can consider them if you want to safeguard your inbox against the malware and other risky attacks that people usually plan. In brief, phishing and spamming are very common these days. If you see a sender consistently sending you emails which are totally irrelevant then you simply block them. And the process I have already mentioned above is useful. Also, you can use some external plugins for the same if you want to. One simple thing you can do to prevent is to stop signing up for the local services using your primary email address and use temporary email addresses instead. For some extra security, you can use a simple plugin for Outlook called, “RansomSaver”. Ransomware is generally hidden inside email attachments and the plugin that I mentioned can detect that. It automatically scans email attachments and takes some further actions.